CNVS Education Coordinator Claire Schaeffer-Duffy speaks on the joys and challenges of running a high school peer mediation. Come learn how kids can play an important role in creating a culture of peace within their school. Discussion to follow. Lots of good resources available on how to start your own peer mediation program. Bring a friend. Appetizers are on us. Background: Ms. Schaeffer-Duffy, Dan Margolis, and Matt Shorten are in year two of co-facilitating a peer mediation program at Claremont Academy. 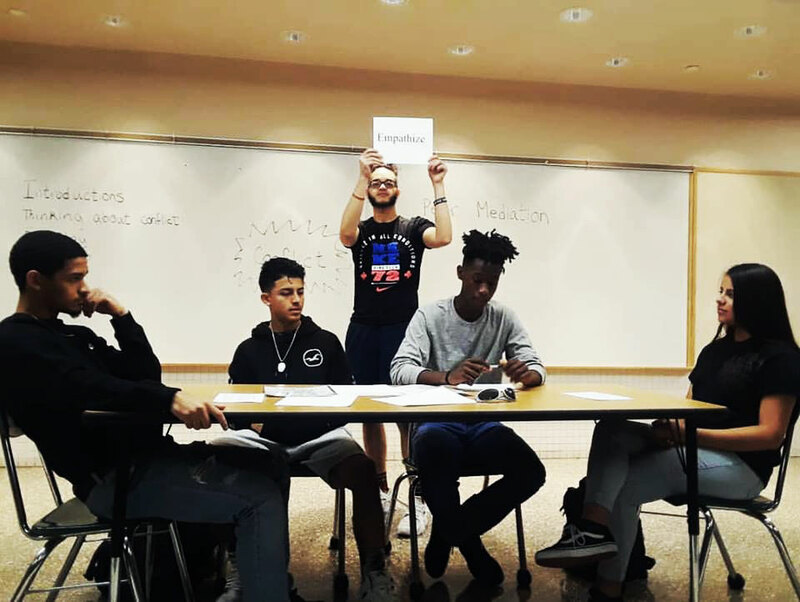 Using a sequential process, high school students help “battling” middle schoolers find a nonviolent resolution to their conflict. Claremont now has two cohorts of trained peer mediators. In addition to negotiating mediations, these mediators will soon be facilitating school advisories. Claremont’s story, a tale of challenges as well as successes, represents one small effort to build a culture of peace within a school using its greatest resource – the students themselves.